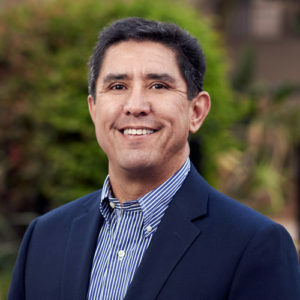 While studying engineering at Arizona State University, Tim Martinez’ career took a detour into the golf industry and then into commercial landscape management. He uses a systematic approach to solve business problems, mentor employees and grow personally and professionally. With 22 years in the green industry, Tim has a rich background in developing people, leading teams, and inspiring extraordinary commitment to customer service. Tim began his career at American Golf, where he spent 12 years and grew to become a regional director. With LandCare since 2010, Tim has led local branch teams in Phoenix, served regionally across the Southwest, and now leads regions in the West Division, extending from Arizona to Washington. Pushing himself to achieve personal bests, he is a runner and a cyclist. With his wife Rhonda, they balance work and family time with their four girls and one son. In his free time, Tim is either at church, in his garden, or strumming on a guitar.